Pretoria: Five people with distinct lives, living in different sections of the city, but all tied together in ways they have yet to understand. Ben and Freya are orphaned twins, and Freya believes them to be as close as twins can be, but Ben has kept secrets from Freya that have led to his murder. Mr October is a widowed father, a rugby coach at a high school, and a devout Christian, but harbours a dark past that haunts him. Slick is a selfharming drug dealer, who, shaped by the brutal lessons of his mentor, Mama Africa, knows retribution is a vital aspect of staying in control. And Nolwazi is an inspector with the Brooklyn Police Department, who wants to do her job properly, but is thwarted by an over-worked system and corrupt peers. Ook in Afrikaans beskikbaar as WROK. Beyers de Vos is a writer, editor and journalist who lives and works in Cape Town. He was prose editor for the literary journal New Contrast, and holds a master’s degree in creative writing from the University of Cape Town. 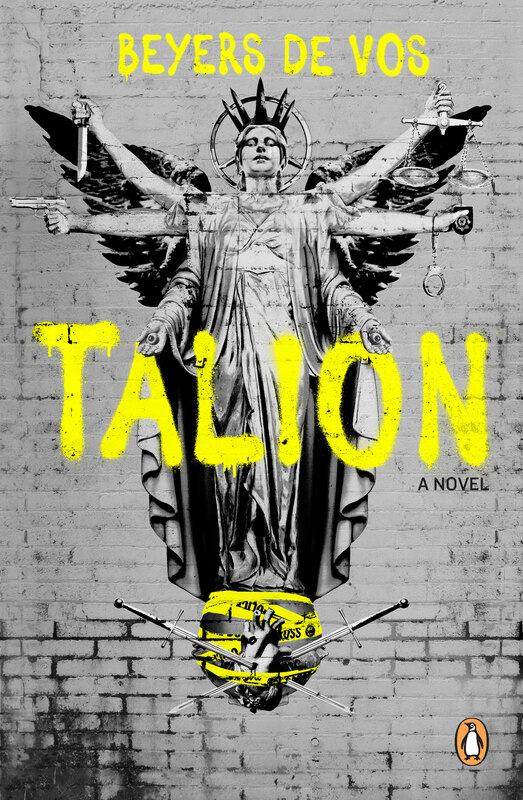 Talion (Wrok in Afrikaans) is his first novel.